WORLD PREMIERE By turning a bizarre motif into a poignant narrative, Flat Daddy gives a jolt of new energy to the wartime documentary. 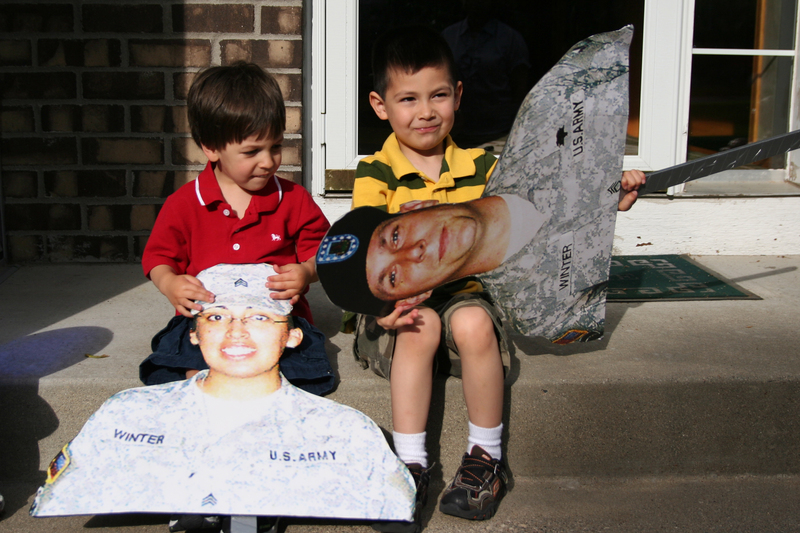 As American soldiers get shipped abroad, their families fill the void with life-size cardboard photos known as “Flat Daddies” or “Heroes on a Stick.” The filmmakers follow four families from the Bronx, Las Vegas, suburban Minnesota, and rural Maine over a year to explore war’s impact on those left behind. Viewfinders section is co-presented by History Films.